Sunderland’s alternative rock trio Rayne announce the release of a free stream of their forthcoming single, Human Imitation. Set for digital release on May 10, the North-East England based outfit are intent on proving why their anthemic song writing skills have earned them frequent comparisons to mainstream artists such as 30 Seconds To Mars, U2, Coldplay and Muse. With a creative partnership that first began over 15 years ago, Ben Potts (vocals/bass), Adam Dagg (guitar/keys) and Steven Naisbet (drums/samples) have experienced Rayne’s reputation moving from strength to strength, following their rise to become national finalists of UK’s Live & Unsigned event in 2010. Their ambitious debut album The New Enlightenment showcased the band’s abilities to produce sonically epic sounding tracks with emotively melodic vocals. The result of its diverse cross-genre appeal to indie, pop and alternative music lovers, attracted an army of loyal fans nationwide and later secured their signing with UK independent label – Ambicon Records. 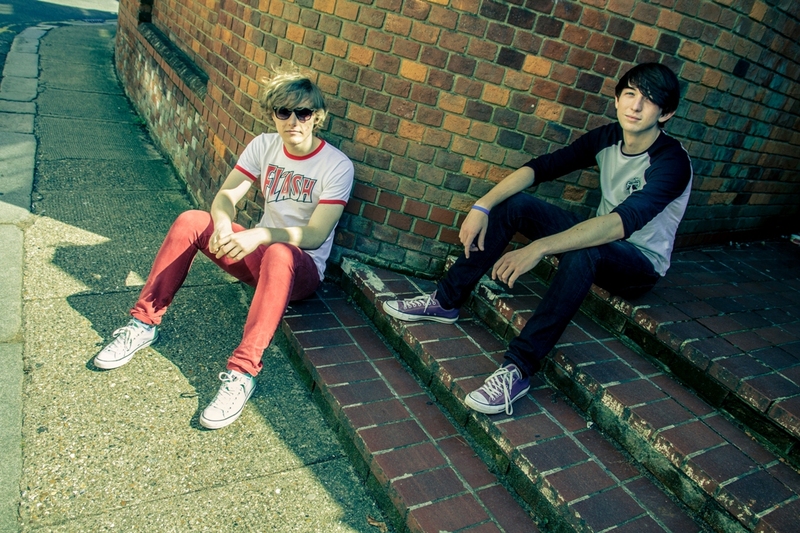 Introducing Rayne to a much wider audience in 2013, both free download singles Fallen and Raise The Alarm garnered strong support from radio taste makers, new music podcasts and alternative music press – acknowledging the bands potential to follow in the footsteps of fellow British epic-rock revivalists such as The Chevin and These Reigning Days. 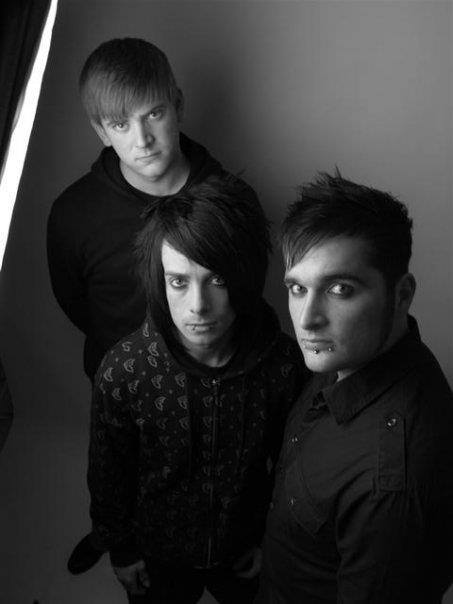 Almost twp years in the making, Rayne plan to unleash their eagerly anticipated second album, Complex By Design in late 2014. Fans can expect a series of new single releases to be available over the forthcoming months, along with news of UK tour dates. McCarthy Vigil are a group of guys born in Barnsley, South Yorkshire who produce alternative/melodic/American music. They have recently released a collection of songs through Of National Importance Records in the form of a self-titled EP which they couldn’t agree on a title for other than Dog Beans but that sounded ridiculous. The EP comes off the back of their track Chinese Candle which was also released through Of National Importance Records on the compilation EP, Pareidolia, which featured other local acts. The three songs for the self-titled EP were all recorded, mixed and mastered by Brett Jackson (Studio 24 – 24 Records) and McCarthy Vigil at Studio 24 in Barnsley over the course of six to eight months with additional vocals and artwork provided by Annie J. Winder. McCarthy Vigil began playing instruments at the same time in the same room as one another in 2010. Because of this, Andy Sutcliffe (vocals/guitar), Dave Oldfield (guitar/vocals), Jason Bagshaw (guitar), Joe Robinson (bass) and Chris Kellett (drums) can make long smooth melodies penetrate your head gaps while your body holes are pounded with syrupy rhythm seeds. They have played up and down the country receiving good reviews. Compressing a wide assortment of influences stemming from the energy and buoyancy of Weezer and Nirvana, through to the texturing of Jack White and Queens Of The Stoneage, Two-Bit Sister are certainly a fresh and animated take on alternative rock. With a tight and solid rhythm section, driving guitars and soaring vocals, Two-Bit Sister set loose their own brand of infectious rock-pop nationwide this Spring with their EP, The Jackal. Hailing from Margate, Kent, Leon Peskett (guitar and lead vocals) and Connor Bluemel (drums and backing vocals) formed Two-Bit Sister in 2013 after dissolving their previous bands. Knowing each other from their school days and having jammed together for the past few years, the pair soon clicked and amassed a strong string of songs. Title track The Jackal is a happy, jolly song which makes it a great introduction track to this band’s sound. It’s the sort of song that will make you instantly happy if it came on in the car on a summer’s day. Your whole mood would lift and you’d feel great. Jackal features some uplifting and inspirational, even if at times depressing, lyrics that will have you singing along, “Although bitterly I’ll pass you the gun now merrily/Because the picture in the middle of the writing of the wall says stop and breath/Easy now my friend/You know we’re going to make it to the end/If you disappear/I will be right here”. Track two Times has a pleasant, gentle introduction consisting of electric guitar and very American style vocals allowing the chorus “Put on your suit I hope it fits like a glove/Times like this you weren’t made for love” to be heard clearly. The rest of the instruments suddenly come in turning this song into a punk rock song. The vocals are also reminiscent of Cobain in parts. The start of Times is also inspired by the likes of Nirvana with the solo electric guitar riff playing before the explosion of instruments happens. Turbulence is another Nirvana influenced track. It’s dark and droning but utterly indulgent. It has that haunting sound making it a desolate sounding song. There’s an emptiness to this track that makes it super attractive. Wanna Know finishes the EP with its incredibly catchy chorus, “Do you wanna know?/Why the grass is green and your hair doesn’t grow?/Do you wanna know/Why people scream when your picture is shown/Do you wanna know?” This is the ultimate summery song that has an instant feel good vibe about it despite the slightly angry lyrics. Two-Bit Sisters The Jackal EP is a solid mix of rock influences and seamless lyrics that would suit being anyone’s summer soundtrack. The Jackal EP will be available from April 21. USA San Diego-based foursome, Champ, are preparing for the release of their debut self-titled album due out February 18 on cassette and digital formats via Fleeting Youth Records. In preparation for the album release, Champ have just revealed their latest single, Burnt Alive. Their style is garage rock, a grungier version of The Eels, with similar intelligence and a quirky twist to lyrics depicting tongue-in-cheek misery, “I don’t want to walk down memory Lane/It’s all the same/It makes me feel like nothing’s changed”. There’s something fresh here, despite the muddy wall of sound quality. For an idea of their potential, check out the self-made video of an earlier track Real Cool Kids below using an impressively confident female vocal, 80’s synth layers and drum beat with a true catchy melody. Southampton alternative rock band, Circle Of Reason, have recently released a video for their latest single, Themes Amongst Thieves. The band released Themes Amongst Thieves at the beginning of this week. The track is taken from the band’s recent EP release, These Hands & This Mind. The single marks their first record release since joining forces with independent label Ambicon Records. Hailing from South-West England, and forming the current lineup in 2011, Circle Of Reason’s prog-tinged alternative rock draws them frequent comparsions to the likes of Smashing Pumpkins, Biffy Clyro and QOTSA. Harper are a four piece alternative rock band from East London who formed a little less than a year ago. They released their debut EP Drawing Blood Blues back in the summer of 2013 and they also recently released their latest single, Feel So Hollow, in November. Harper are Matt Broadbent (lead vocals/rhythm guitar), Daniel Bhattacharya (lead guitar/backing vocals), Jamie Simpson (bass/backing vocals) and Toby Thacker (drums/percussion). For the past year, Harper have spent a large amount of time writing and demoing songs in drummer Toby’s studio as well as gigging vigorously in and around London. Their sound is sophisticated, bluesy and full. It’s tempting to note that their songs do not sound like demos – they sound professional. This band really know what they need to do to make the most of what they have. Feel So Hollow is incredibly catchy. It starts with a very Black Keys inspired guitar riff and empty drum beat eventually accompanied by a soft background bass line. Broadbent’s vocals are reminiscent of that Arctic Monkeys northern twist which makes this song sound familiar. Feel So Hollow has some interesting lyrics, “I want to find your brand new soul/I feel so hollow right now/Don’t you wanna give it a home?”. There’s meaning behind the lyrics which makes this song captivating – it’s a game to figure out the story this song is telling. Broadbent lacks control on some of his vocals but this only enhances the track. It makes it raw – you can hear little cracks in the vocals, moments of passion. Feel So Hollow is exactly what you expect from an alternative rock track – there’s passion and energy all leading on from the blues influences. Both their EP and single are available to stream and download from their bandcamp here.